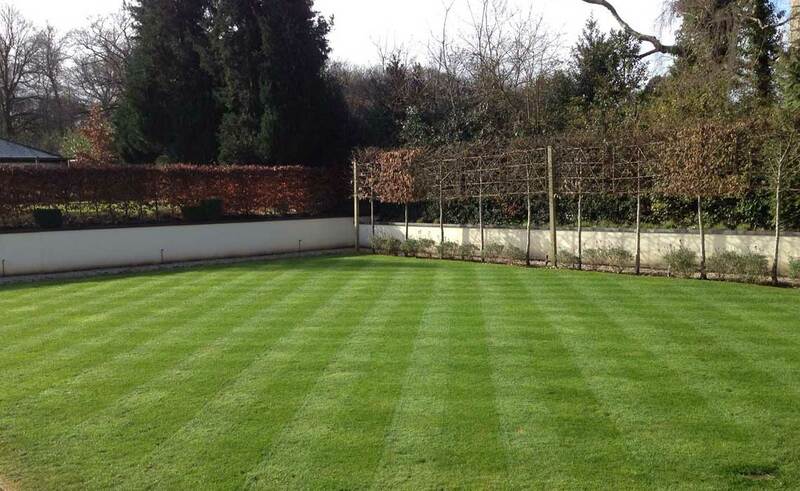 For newly laid turfed lawns, begin mowing after 2-3 weeks when the roots have anchored the turves into the soil. 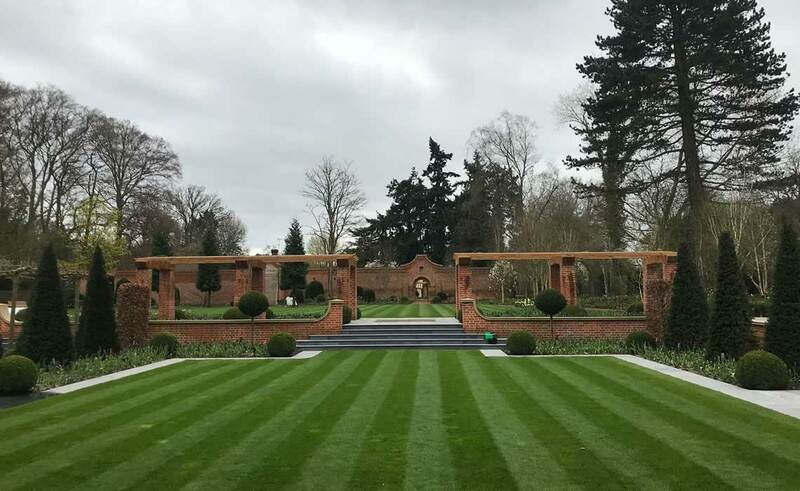 After the winter, the first cuts on established lawns should not be too short as it is important to reduce the height of the grass slowly over the first few weeks. For most lawns it is generally best practice to never mow lower than 15mm. In the spring when the grass is growing quickly, lawns should be mown at least once every week. Leaving a lawn to grow too high and then cutting every two or three weeks will create uneven colour and it will begin to look sparse. Basically the more your lawn is mown the better it will be and this is because it stimulates new growth of shoots called tillers which will produce a dense, healthy looking lawn. Unfed lawns become weak and open to the invasion of unsightly moss and weeds. It is therefore important to feed lawns, they like other plants require three basic elements to thrive; nitrogen, phosphorous and potassium (known as N P K). A good lawn feed will usually be made up of an analysis of 27:5:5 referring to the amount each of the three elements. The most beneficial times for feeding lawns is every spring and autumn. Weed control treatments can be incorporated into feeds. Heavily used lawns require regular aeration but generally all lawns will benefit because grass roots require air to support healthy new growth. In structured soil there are lots of air pockets and if the lawn has heavy use the structure will be damaged and air pockets destroyed. Aeration is a way of getting air back into the soil by punching holes into the lawn at approximately 100mm deep. This can be done using a garden fork, roller spiker or a mechanical aerator machine. Badly compacted lawns can be aerated using a lawn corer which extracts plugs of soil from the lawn which allows more aeration. The holes can then be filled and kept open by brushing in a lawn dressing into them. Over time a build-up of dense horizontal grass growth in the turf mat known as thatch. 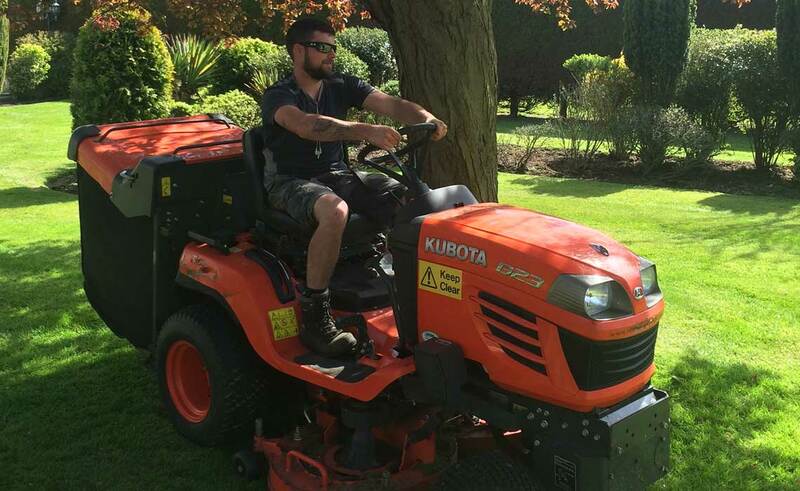 Scarifying is like a pruning process which is done by using vertical blades to cut into the top of the turf mat, lifting the horizontal thatch growth to the surface for removal. Scarifying will promote healthy new growth. We love to create outdoor spaces for our customers who appreciate an escape from the strains and stresses of everyday life, a composite of motivations that reflects how we feel. The testimonials we receive on the completion of our projects are wonderful and inspiring, they drive us on.